J. Kathleen Tracy, Derek Falk, Rebecca J. Thompson, et al. Objective: This study assessed differences in employment outcomes among cancer survivors using data from a nationally representative sample. Methods: The 2011 Medical Expenditure Panel Survey (MEPS) data and the 2011 MEPS Experiences with Cancer Survivorship Supplement representing 3,360,465 people in the US population were analyzed to evaluate factors associated with unemployment among cancer survivors during the 5 years following diagnosis and treatment. The sample included adults 1) diagnosed with cancer within 5 years prior to survey completion and 2) engaged in paid employment since diagnosis. Individuals diagnosed with nonmelanoma skin cancer (n=33) were excluded from analyses. Results: Data of 221 cancer survivors were used to identify factors associated with employment status at the time respondents were employed (n=155) vs unemployed (n=66). Results of bivariate analyses indicated that unemployed survivors were older, more likely to be women, more likely to be uninsured at the time of cancer diagnosis, and to report lower incomes than cancer survivors who continue to be employed. Unemployed survivors were more likely than employed survivors to have had anxiety about being forced to retire or quit early when they were employed because of cancer and to report cancer-related interference with physical and mental aspects of their job tasks; unemployed survivors also took less paid time off and were less likely to change to a flexible job schedule when they were employed. In multiple logistic regression analyses, worry about being forced to retire (protective), worry that cancer recurrence will interfere with home or work responsibilities (risk), and change to a flexible work schedule (risk) following cancer diagnosis were associated with unemployment after controlling for demographic differences between employed and unemployed cancer survivors. Conclusion: Findings of this study highlight the extent to which the challenges of managing the cancer–work interface create challenges to employment among cancer survivors and may lead to long-term unemployment among cancer survivors. 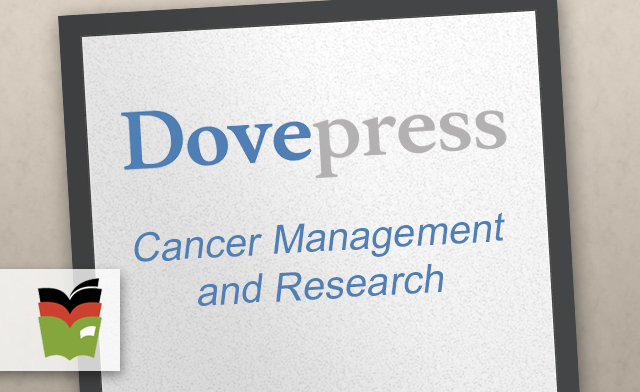 Future studies should evaluate the strategies that the survivors could use to manage the cancer–work interface during cancer treatment to attain medical, psychological, social, and employment outcomes. With improvements in cancer screening and early detection, cancer incidence rates in the last decade have stabilized.1 Furthermore, the 5-year survival across cancers is nearly 70%,1 increasing the number of cancer survivors. It is estimated that in 2014, ~14.5 million adults were cancer survivors; the number is expected to increase to 19 million by 2024.2 More than 70% of the incident cancers are diagnosed in adults between the age of 20 and 74 years, prime employment years. As a result, many cancer survivors are employed at the time of cancer diagnosis and are likely to continue to work or return to work (RTW) post treatment. Identifying factors associated with unemployment among cancer survivors is both a quality of life issue for cancer survivors and a public health issue. Several factors have been linked to changes in employment following cancer diagnosis. These include type of cancer,3,4 type of treatment received5 with chemotherapy associated with greater disruption to employment,6 and type of work having more negative impacts on RTW.3 A meta-analysis by de Boer et al4 focused on comparison of cancer survivors and healthy controls with respect to employment. This systematic review noted that cancer survivorship is associated with higher rates of unemployment compared to healthy controls. Furthermore, US cancer survivors were nearly 1.5 times more likely to become unemployed than their European counterparts. More recently, a systematic review by Mehnert7noted that 63.5% of the cancer survivors RTW following diagnosis and treatment. Factors associated with RTW or being employed included employer accommodations, flexible work arrangements, rehabilitation support services, younger age, higher education, male gender, fewer physical symptoms, and less time off. Similar to the results of the study by de Boer et al, Mehnert noted the increased risk of unemployment that cancer survivors experience compared to healthy controls. Much of the existing literature studies have compared employment issues of cancer survivors with those of noncancer survivors.11 A limited number of studies have examined the employment situations of people actively receiving treatment12 and workplace supports for those in treatment, but not for survivors years later.13 Few studies have focused on factors that determine which survivors remain employed compared with those who do not. The purpose of this study was to assess factors associated with unemployment 5 years postdiagnosis among cancer survivors using data from the national Medical Expenditure Panel survey (MEPS) and the Experiences with Cancer Supplement. Data from the 2011 MEPS and the 2011 MEPS Experiences with Cancer Survivorship Supplement were analyzed to identify factors associated with unemployment among cancer survivors. MEPS, conducted annually by the Agency for Healthcare Research and Quality (AHRQ), is a nationally representative survey that assesses healthcare costs and usage based on the data from families, individuals, medical providers, and employers. In 2011, AHRQ included the Experiences with Cancer Survivorship Supplement, which took the form of a self-administered questionnaire – the Cancer Self-Administered Questionnaire (CSAQ). The 2011 MEPS selection process oversampled household members who reported a previous cancer diagnosis, and each person who reported that he or she had a previous cancer diagnosis was asked to complete the CSAQ. Only adults aged 18+ were included in the supplement that queried topics including the burden of cancer, access to health care, employment patterns, job and workplace characteristics, and work productivity. MEPS and CSAQ data were accessed and downloaded directly from the AHRQ-MEPS website.14 The institutional review board of the University of Maryland, Baltimore, determined this secondary analysis to be nonhuman subject research. Sample inclusion criteria consisted of adult (aged >18) respondents who 1) were diagnosed with cancer within 5 years prior to survey completion; 2) engaged in paid employment at some time since diagnosis; and 3) completed the CSAQ. Nonmelanoma skin cancer survivors were excluded to maintain consistency with other cancer survivorship studies. The final analytic sample (N=221) consisted of individuals who were employed (n=155) and unemployed (n=66) respondents at the time of the survey (Figure 1). The 2011 MEPS data include sampling weights to account for survey nonresponse and to adjust the population control totals to the Current Population Survey for that year. The unweighted responses consisted of 35,313 household members across 2,052 variables with a response rate of 54.9%. The total 2011 MEPS survey included positive person-level weights for 33,622 respondents and positive family level weights for 13,449 families. The 1,419 CSAQ respondents also received separate sampling weights, which was used in the present analysis, totaling 20,105,356 with a pooled unweighted average response rate of 90.0%. This sum estimates the number of adults in the USA who reported a cancer diagnosis or cancer treatment during adulthood.